I just thought I would share with you some pearls of wisdom...OK just some nuggets from me about making time for yourself this year for personal growth / development and how I will be doing that to keep on track etc. 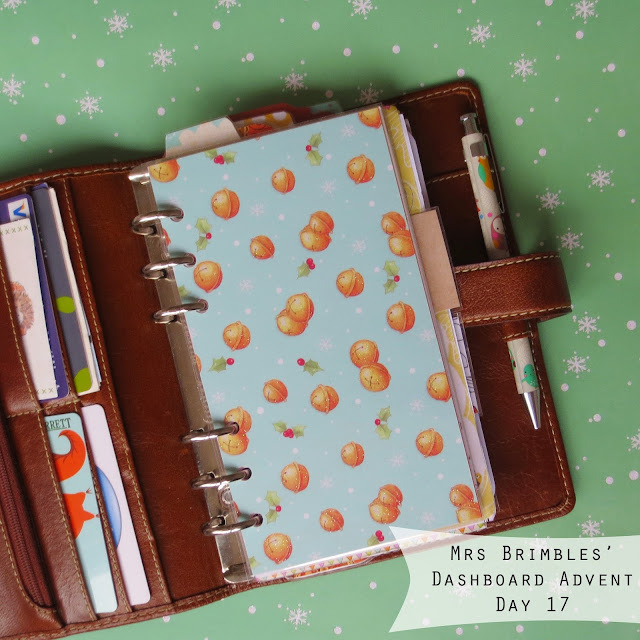 Just a video from me so not detailed blog post I am afraid but I hope you understand that with the time of year it is all go go go but I did really want to share this with you so I can get craking on my Shining Year! I can't remember where the washi tape came from and I know it is too late for you but the stickers came from HobbyCraft. 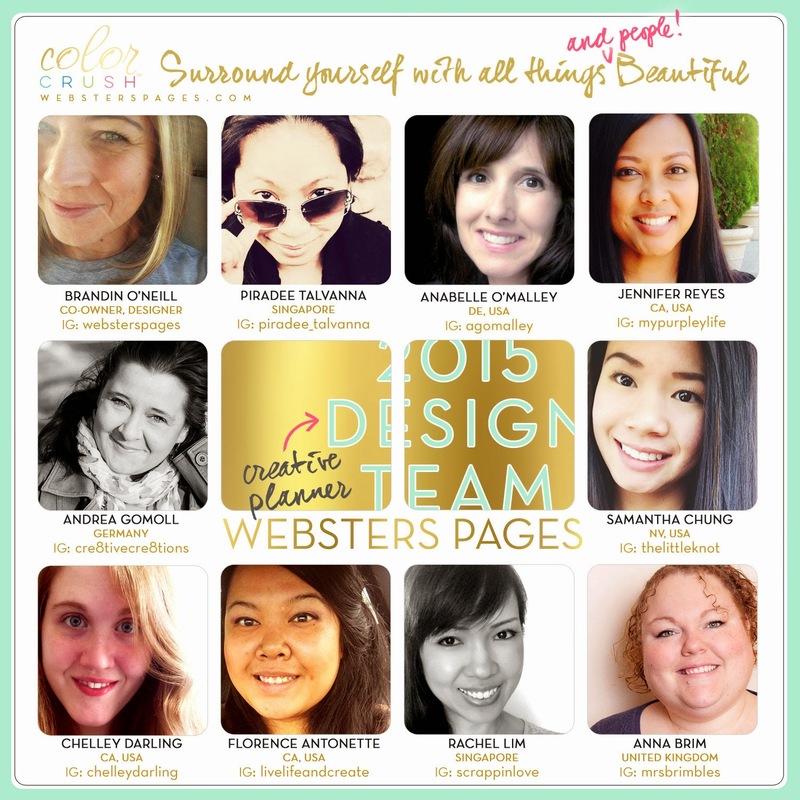 Websters Pages 2015 Planner Design Team Announced! I am really excited to be able to share this wonderful news with you...I found out yesterday morning but had to keep quiet until it was formally announced. 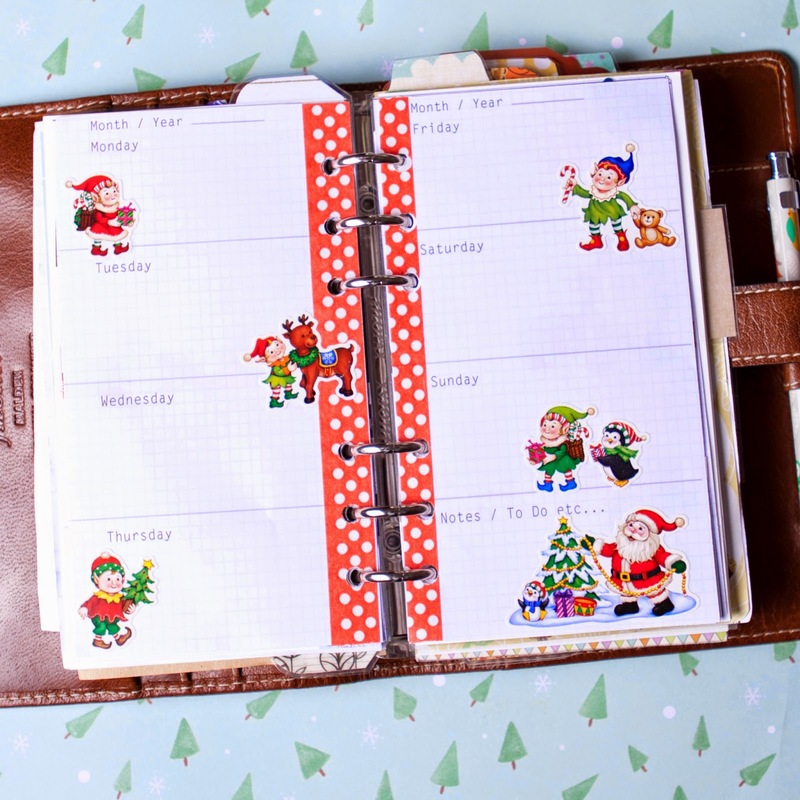 You may have already seen this around various social media platforms but I am excited to share on my little blog here that I have made the Websters Pages planner design team for 2015. I am so unbelievably ecstatic I can't tell you. I saw the DT call come up on the Websters Pages instagram account and thought what the heck, what have I got to loose if I apply. So I applied and kinda thought that was that until the email came through to annouce that I was in! It just goes to show you that if you don't try you will never know so if there is anything you would love to do just give it a try! It has always been an ambition of mine to be on a design team but like many have battled with the thoughts of am I good enough etc. I will be covering more on my blog etc but this year (2015) I am going to challenge myself to be more confident and do more things that scare me. So when you see that next design team call, please do apply as you never know, I know it is scary but just do it! If you would like to find out more about Websters Pages do check out their website or my blog post here. 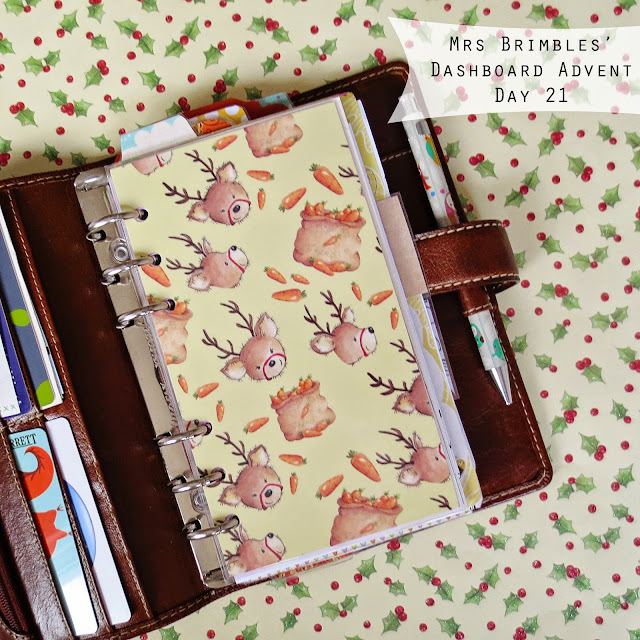 I have been seeing videos pop up in my feed of people sharing what they got for Christmas and so I though I would share some of the art / journal / planner related items that I was very lucky to receive for Christmas this year. Just like the queen I have my own little Christmas message lol! I just wanted to sit and have a chat with you all and to wish you a Merry Christmas or the holiday of your choosing and to also thank you for all your love and support over this past year. I am still vlogging everyday until New Year on my vlogging channel and I will definitely be back in the New Year (if not before) with more content! 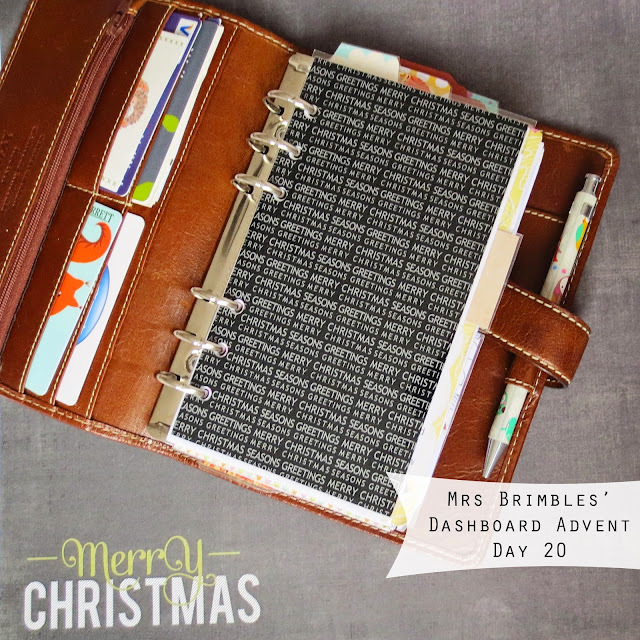 If you are interested in any of the dashboards shown during my dashboard advent, they all are or have been availble for sale in my Etsy shop. If they are not in there it does unfortunately mean that they have sold out and are no longer available. 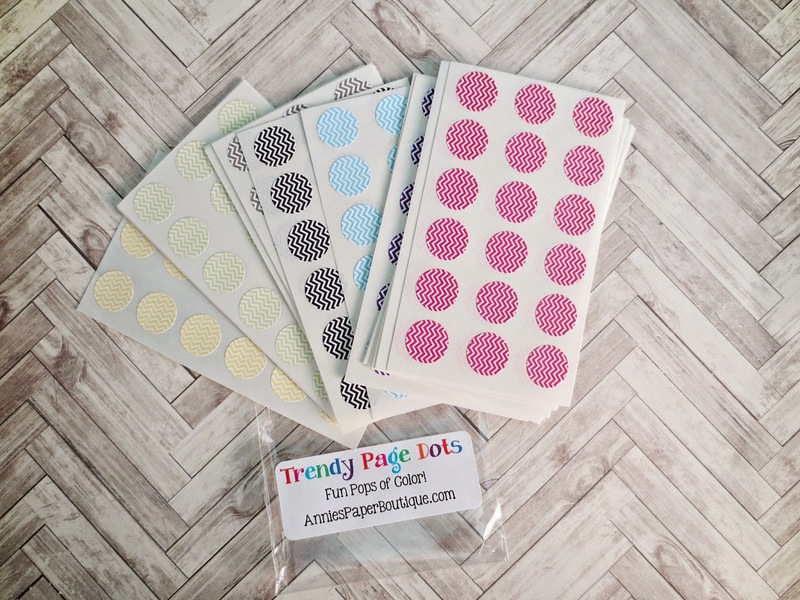 Annie's Paper Boutique is a shop that I found out about via Amanda from She's Eclectic. Amanda nearly always uses the hole reinforcers on her Filofax inserts and they always look so cute and lovely, I was starting to get Jealous! Lesley is the lady who runs Annie's Paper Boutique and she very kindly sent me a few things to try out. Instantly I am in love and really wanted to share them with you. 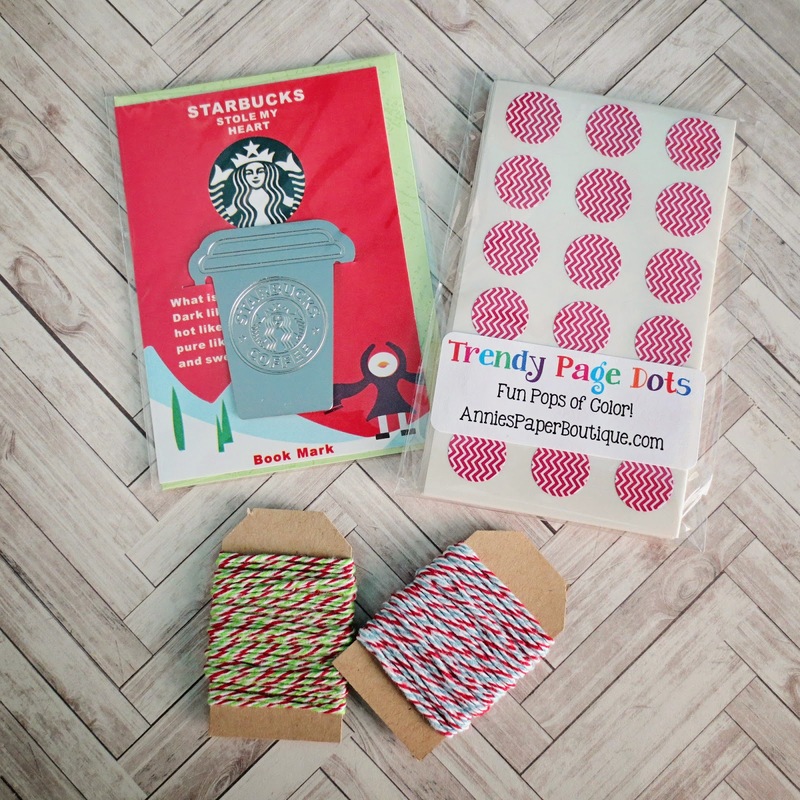 Lesley sent me some page dots of my very own to try, a starbucks paper clip and also some trendy twine. I have yet to give everything a good road test but from what I have seen of it all so far I love it! I am going to use the twine in some of my festive preparation either in present wrapping or decoration, I am not sure which. The twine is beautiful, such good quality, much better than the stuff I already have! I am not going to lie, I am rather partial to a Starbucks but don't get to have one that often as there isn't one near me but I do love this clip so it will have to keep me going lol! 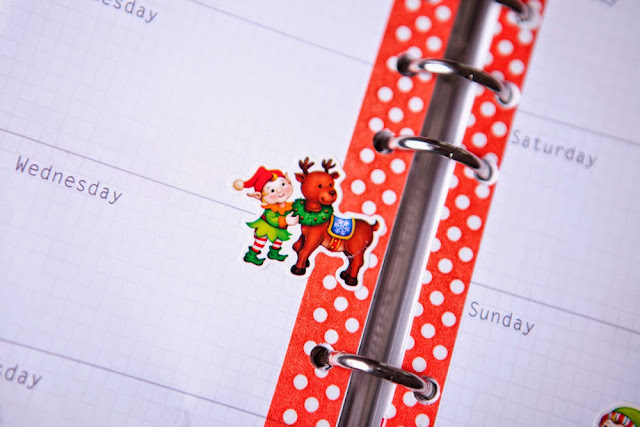 Now you can see why I love the page dots, aren't they super cute! The designs that Lesley sent me are all chevron but they are in several different colours. I love chevron! 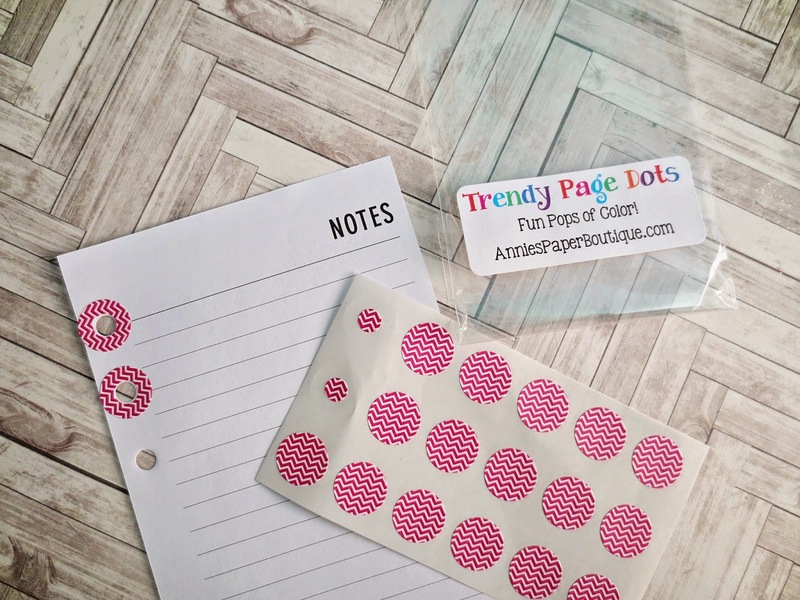 I will definitely be putting them to good use on my pages so you can expect to see much more of them in up and coming page designs! I wish I knew about these when I was at Uni, I was always tearing my holes and all we had then was boring white ones, these are way too cute! We get loads of Robins in our garden and they are just so cute, not as cute as these though! This week I am hoping that Santa will indeed be coming down my chimney! 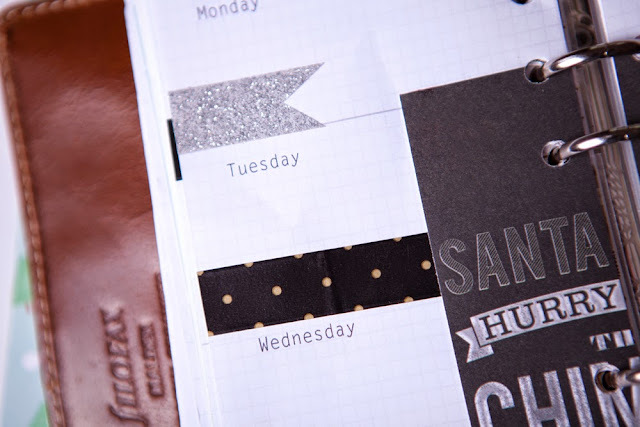 Silver glittery washi tape was in a Linkys box, the black tape was from a swap buddy and then I used a scrapbooking journal card in the middle as I don't have too much on this week so I don't have to worry about space in which to write! I hope those reindeer are eating all their carrots so they will be able to see in the dark! You will never guess what I received in the post last week! Ok you probably will based on the title of this post and the photo that you can probably see lol! A very kind and lovely YouTube subscriber sent me this most wonderful gift. I had absolutely no idea that this was coming and she is very naughty for doing so but I have to say that I absolutely love it so so much and I am so grateful that she did. It was a lovely, totally unexpected surprise. Thank you so so so so much. Unfortunately Mr B tidied away the packaging and by tidy away I mean throw away as he thought it was rubbish. I can't moan because a man that tidies up is such a good thing! It does however mean that I do not have the senders name and address to write back to and than which makes me very sad so I hope dear sender that you see this and know how much I love it, you are very naughty but I do very much love it! 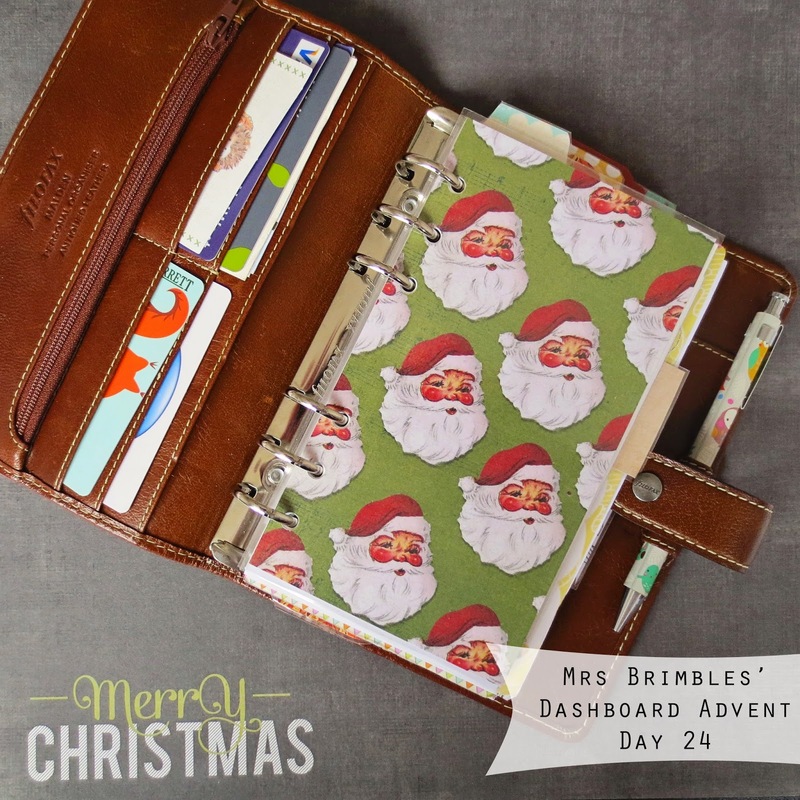 What she might not have known is that this particular planner was on my wish list and I was going to ask Father Christmas if he would get it for me. I love it so much, the design is just so me. 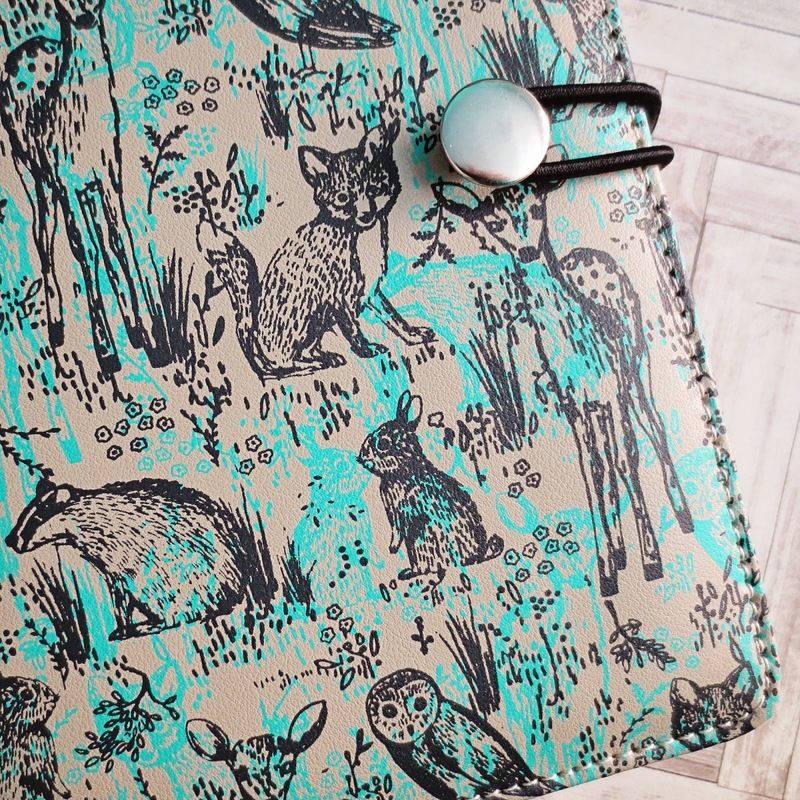 I love woodland creatures and I love teal and brown so it is everything I could ever want. It has my all time favourite bunnies as well as other beautiful woodland creatures. 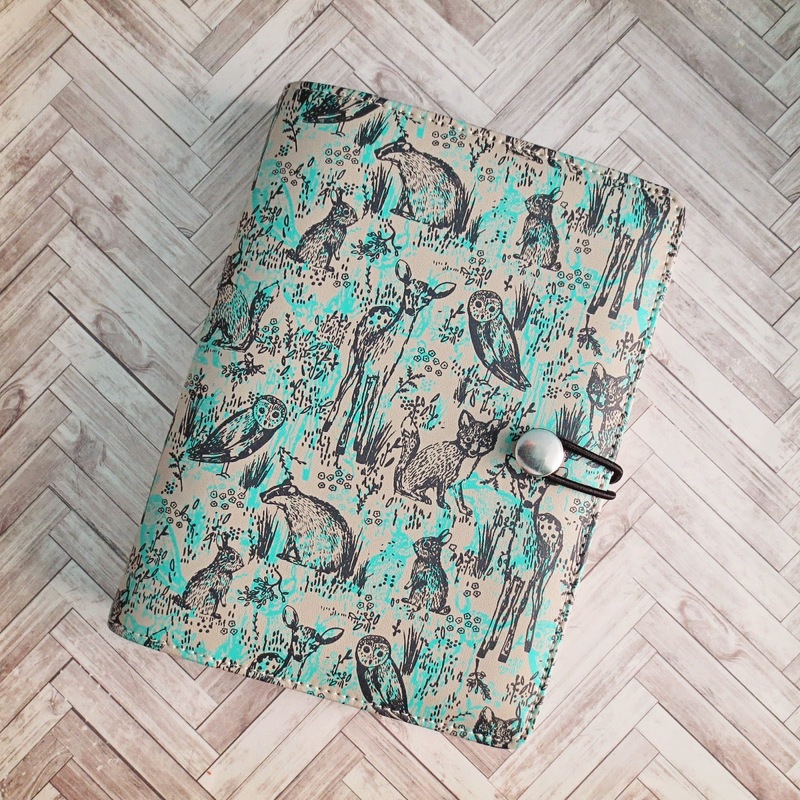 In this design Paperchase also make bound planners, notebooks and gift wrap, the collection itself is called Dreamscape. To be perfectly honest I love everything in the range and I did say in my letter to Father Christmas that I would be over the moon with anything from the range...I wonder how good a girl I have been! 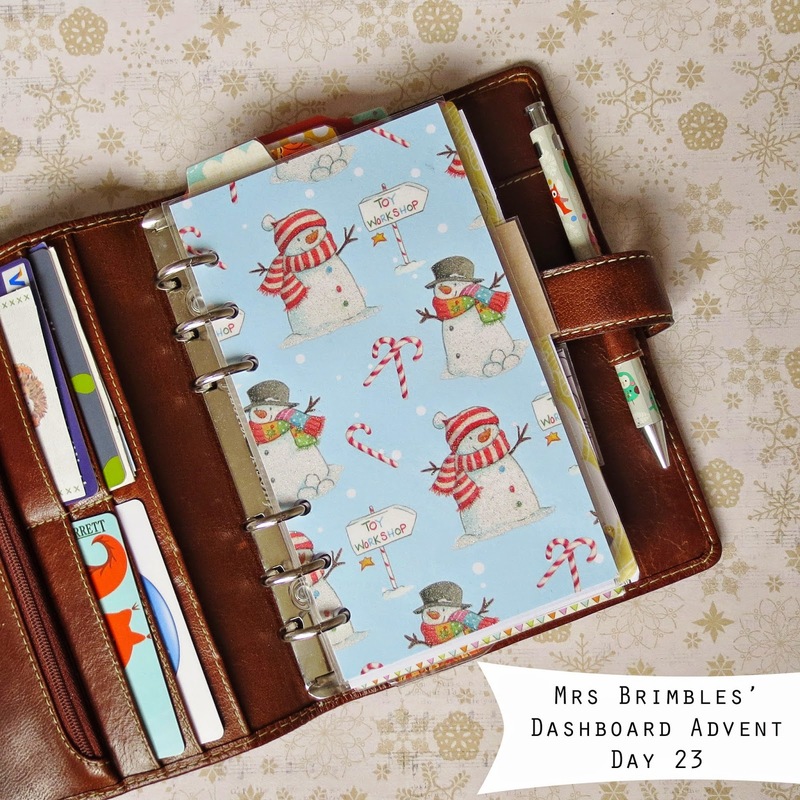 I have particularly asked FC if I could have a sheet or two of the co-ordinating gift wrap so that I can make my own dividers for the planner which would match perfectly! 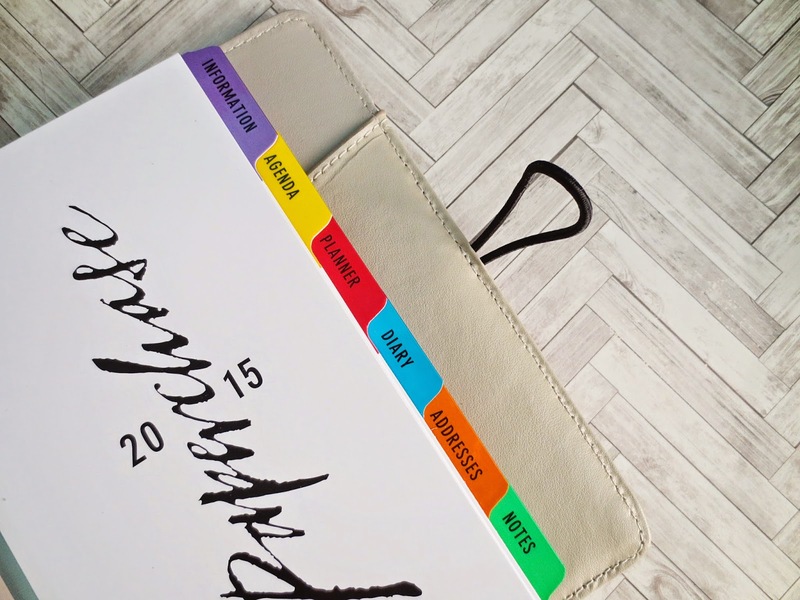 I have never owned a Paperchase planner before. I have looked at them in the past and have been tempted but never actually taken the plunge so I was really interested to see what it was like inside. 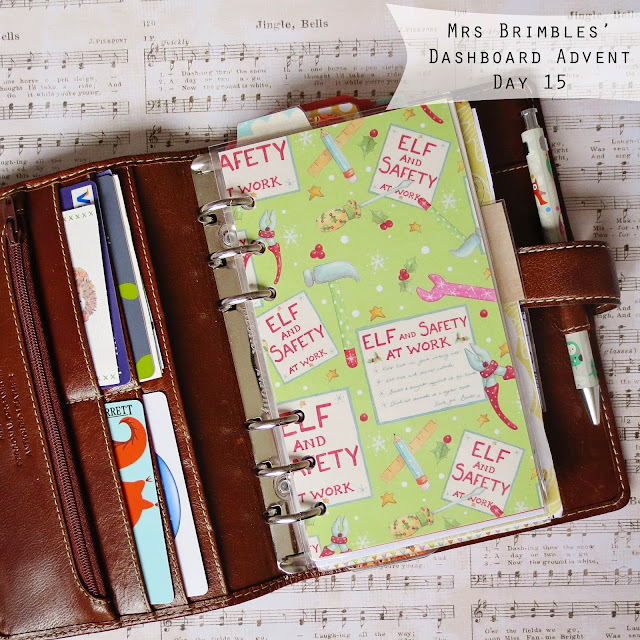 All of the planners I currently own (apart from this one) are Filofax so I was opening this not knowing what to expect. I think my most favourite aspect has hot to be that the design appears on this inside also. 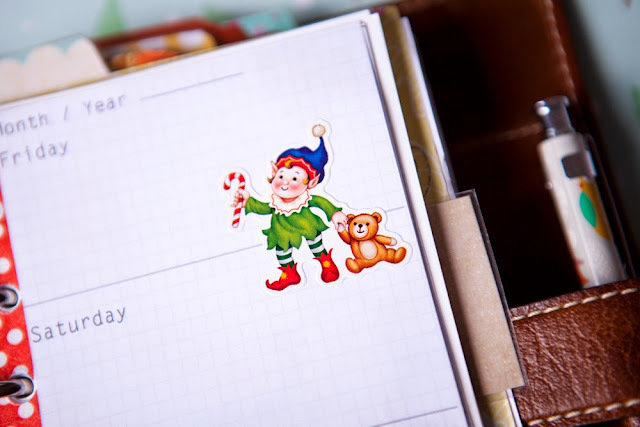 How beautiful is it to open your planner to see this little face looking back at you! Absolutely stunning and I love this design aspect so much! I like that the dividers have a coloured laminated edge but I am really confused by the labelling. 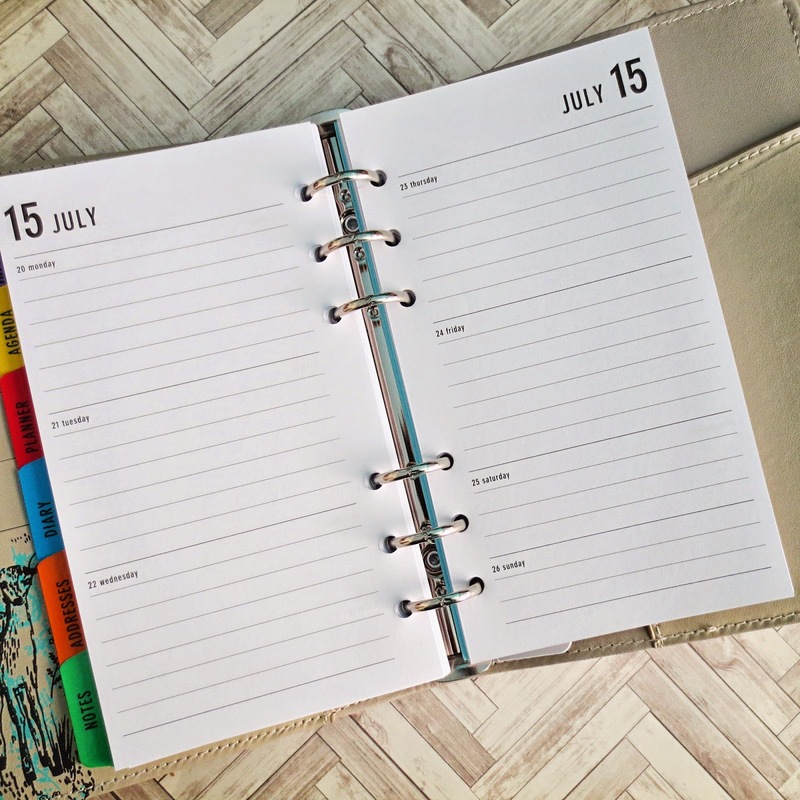 Is it me or is 'agenda', 'planner' and 'diary' not all the same thing? if anyone could enlighten me on this I would be much appreciated. I will probably not use them and make my own but I would love to know what the intention is with that. 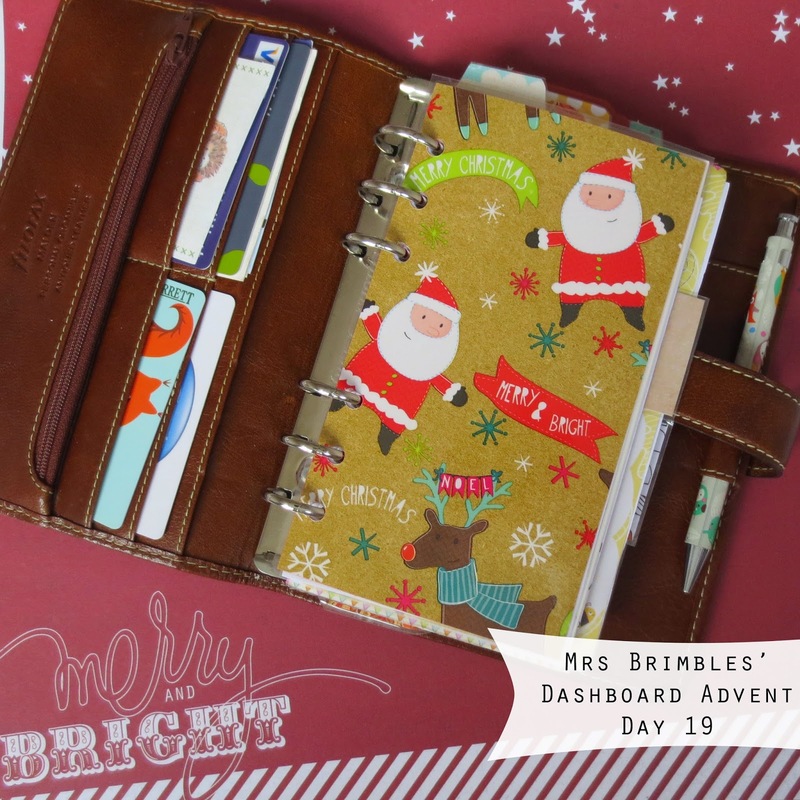 The diary inserts have a nice look and layout to them but I won't be using them as the weekend space is just too small. I need more space for the weekend than I do for the week usually or at least equal space. 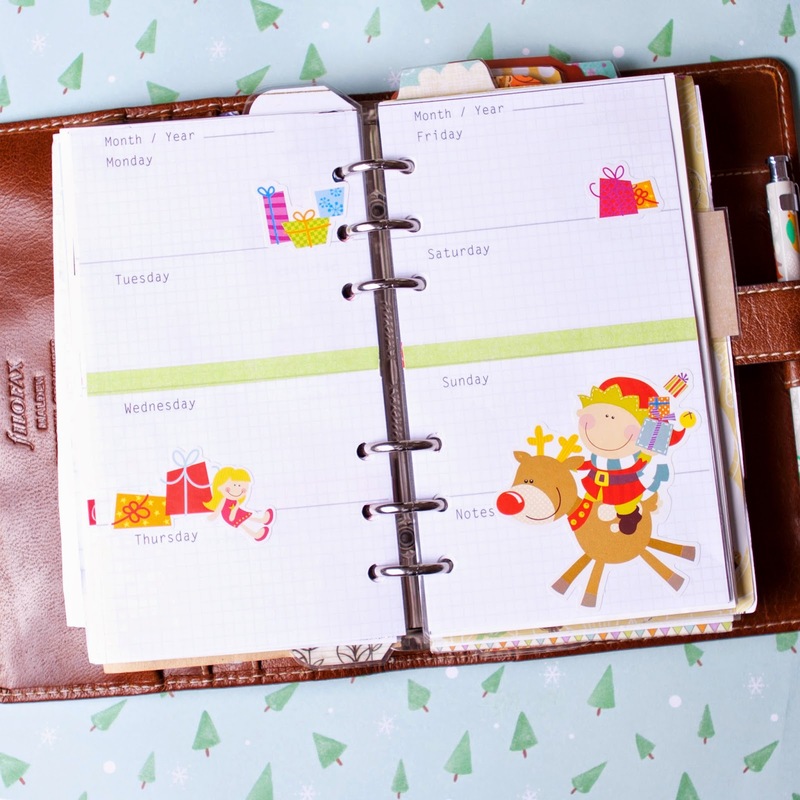 Why do most diary makers do that? We do more at the weekend than we do in the week! and also for the year. 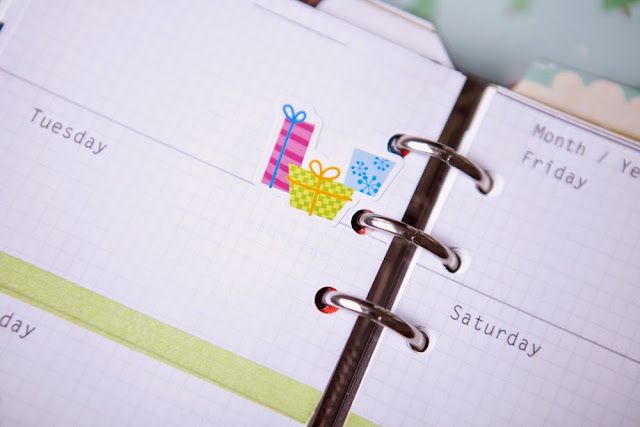 Currently I don't use monthly or yearly planning but I am tempted to try it and see if this is something that I feel that I am missing out on. All in all it is a beautiful planner, well made and just such gorgeous design. I love it so much and I can't wait to move into it in the New Year. I am getting way too excited now! I think this one has got to be my fav! 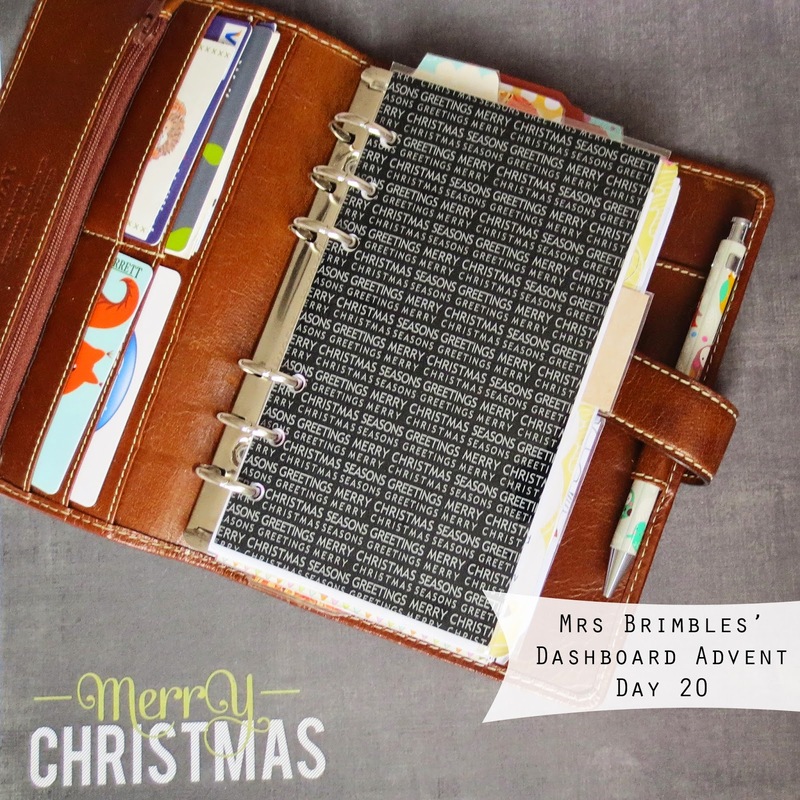 Supplier Spotlight - Hey Charlie! I am back with another supplier spotlight and this week I have for you...Hey Charlie. Charlie is a fellow blogger and also recently took part in the Filofax Blogger challenge. I was delighted to find out that Charlie has started her very own Etsy shop selling stationery items and other items aimed at planners and pen pallers, is that how you say people who pen pal? Anyways you get the gist of what I mean! Inside my box were some lovely goodies that I would like to share with you. 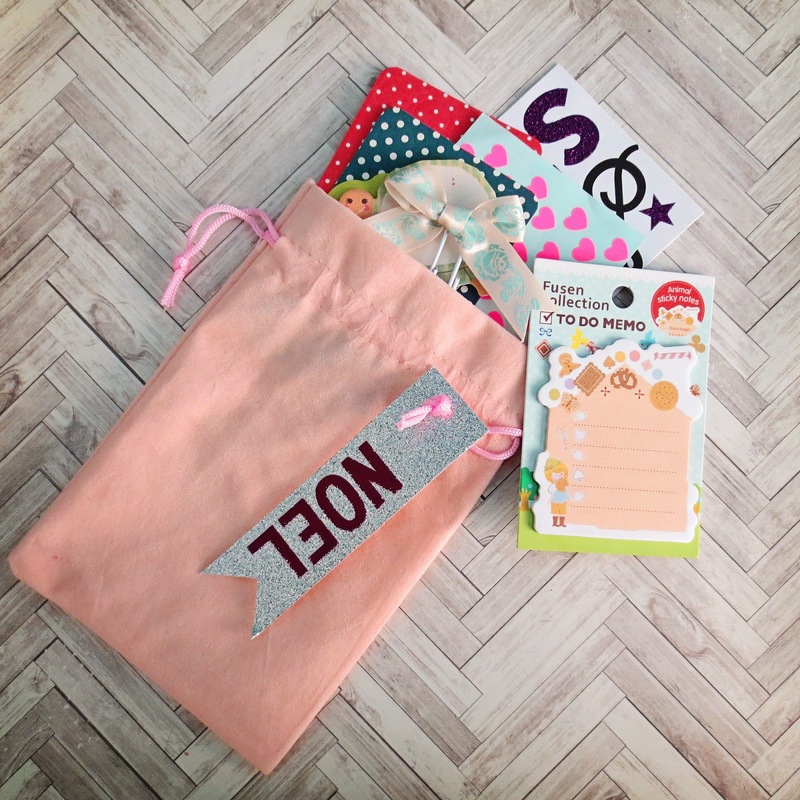 This cute little fabric pouch is one of her 'Pen Pal Grab Bags' which was just bursting with goodies. I am not showing all of them here in this photo but believe me there was lots inside and everything was just lovely! I received two sheets of masking stickers which for me personally was exciting as I have never used them before so I am going to try them and see how I get on! 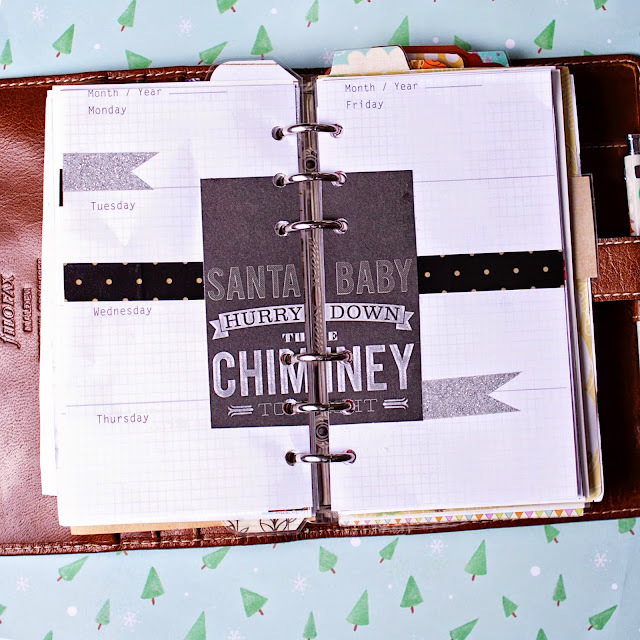 I also wanted to share with you this gorgeous little glitter journal / notebook. 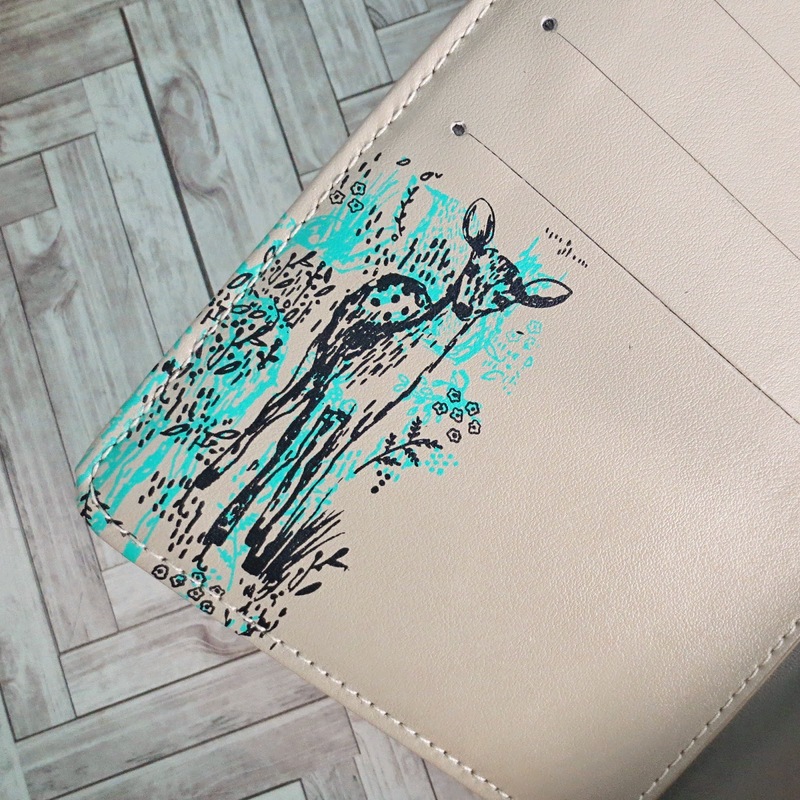 It is A6 in size so very handy for putting in your bag whilst you are on the go. It feels great in your hand, it is a hard thing to describe but it is nice and chunky to feel good but not too chunky that it is chunky! I know, odd but it just feels right to me. Whilst we are talking about feeling, it also has a plastic cover which again, I can't put my finger on it but it just feels right! I love all of my goodies from Hey Charlie, definitely an Etsy shop to keep an eye on for the future!! 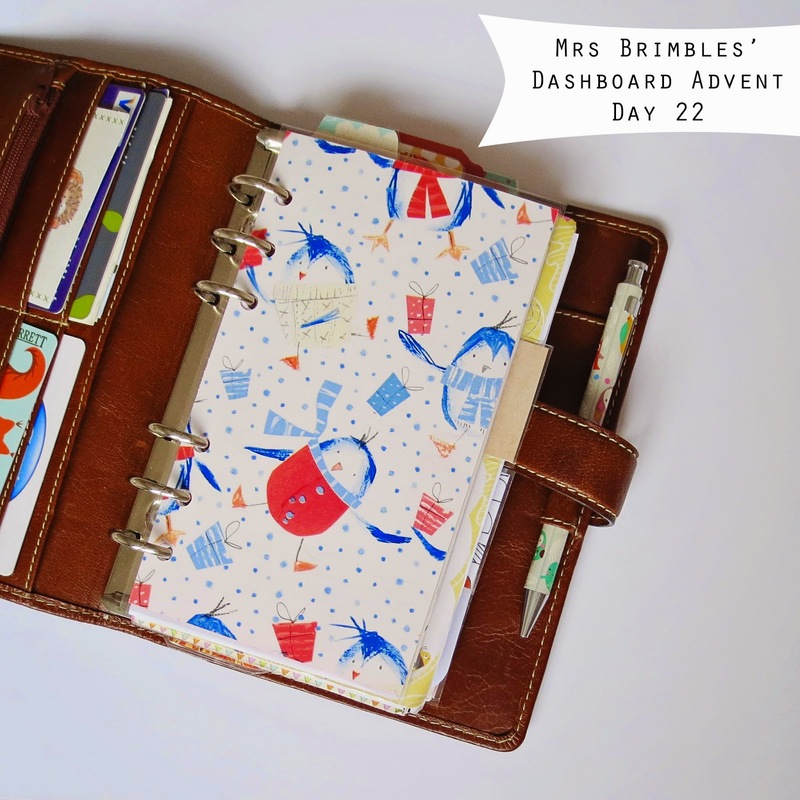 As you know (because I have mentioned it a lot of late) I am using a faux version, my own made up version of the hobonichi journal / planner. 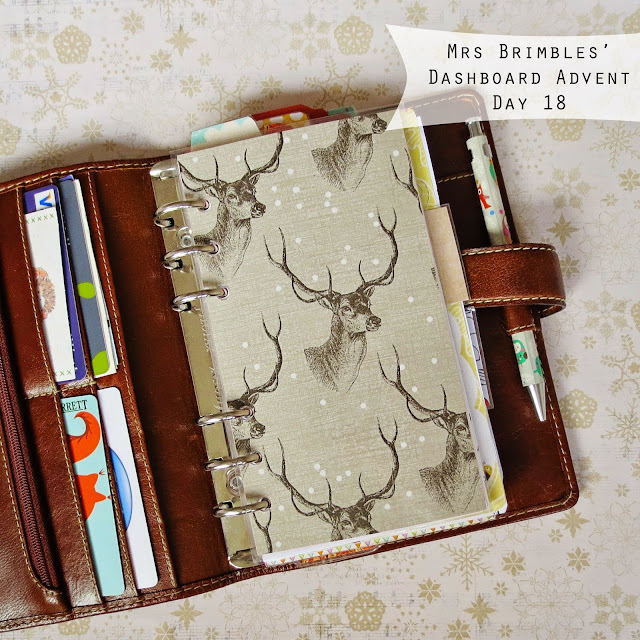 Prior to purchasing the fauxbonichi which is actually just a grided notebook from Paperchase, I deliberated quite a bit as to whether to splurdge on the real deal or just go faux. The price of the hobonichi is what has put me off, ok so not the price but the fact that you have to double that because of the import tax duties. Eeeeek! If it wasn't for that then I probably would have just bought the real deal. So fauxbonichi I went with and fauxbonichi I am going to stay. Why? 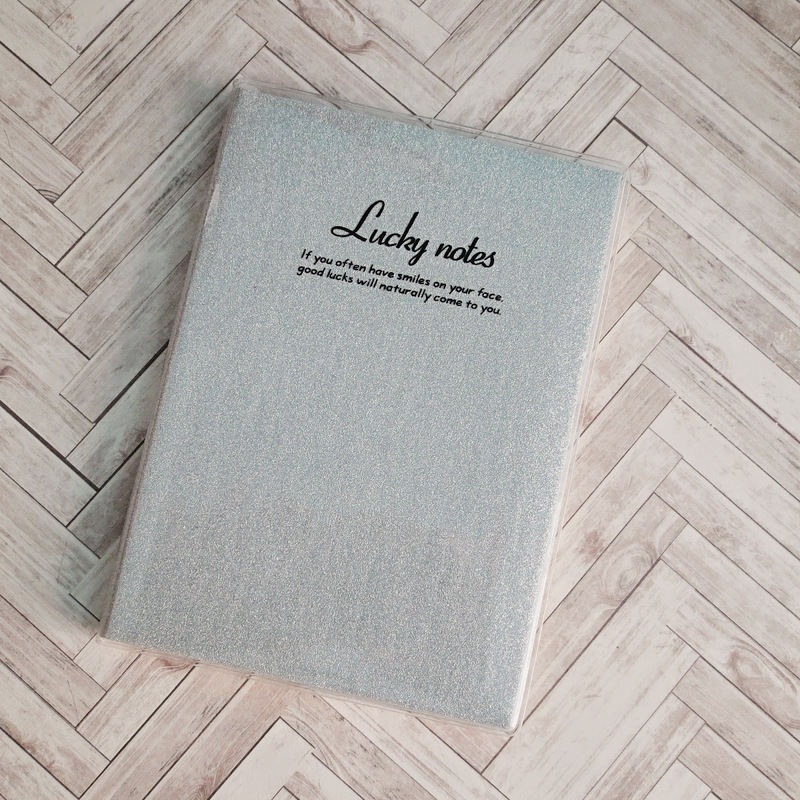 I actually really like this notebook. I like the feel of it, the floppiness, the chunkiness, the paper quality and the fact that it is gridded paper. All in all it is just a really lovely book to work with. 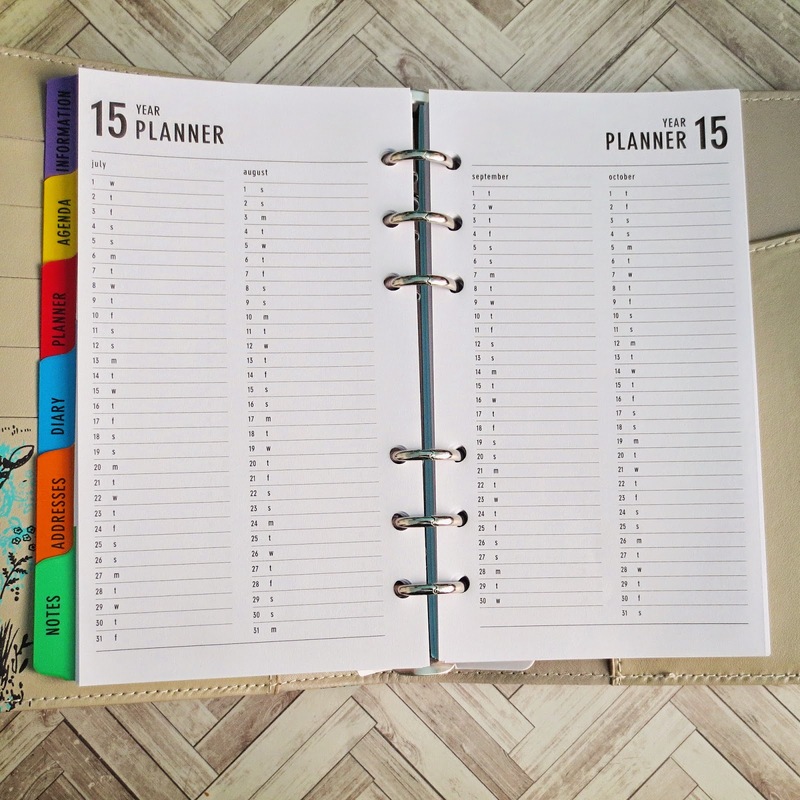 Having looked at the flip videos I have seen of the real thing, I wouldn't be using it as a planner as I love my ring based planners too much. I like to be able to take things out and move them around which you can't do with a bound book. 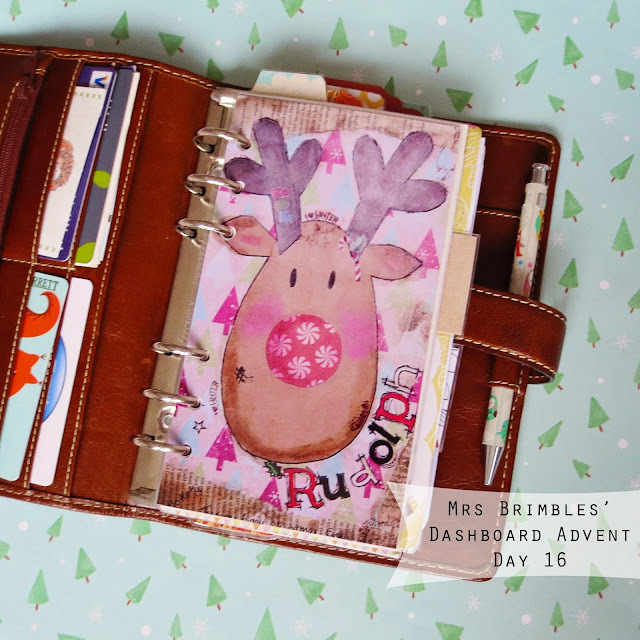 The hobonichi comes with both monthly pages as well as weekly and daily. I just don't know what I would do with the monthly and the weekly spreads so that would be a total waste for me. On the daily pages they are already pre dated. Whilst at the moment I am journalling everyday, if I miss a day it is no big deal because the page isn't dated. 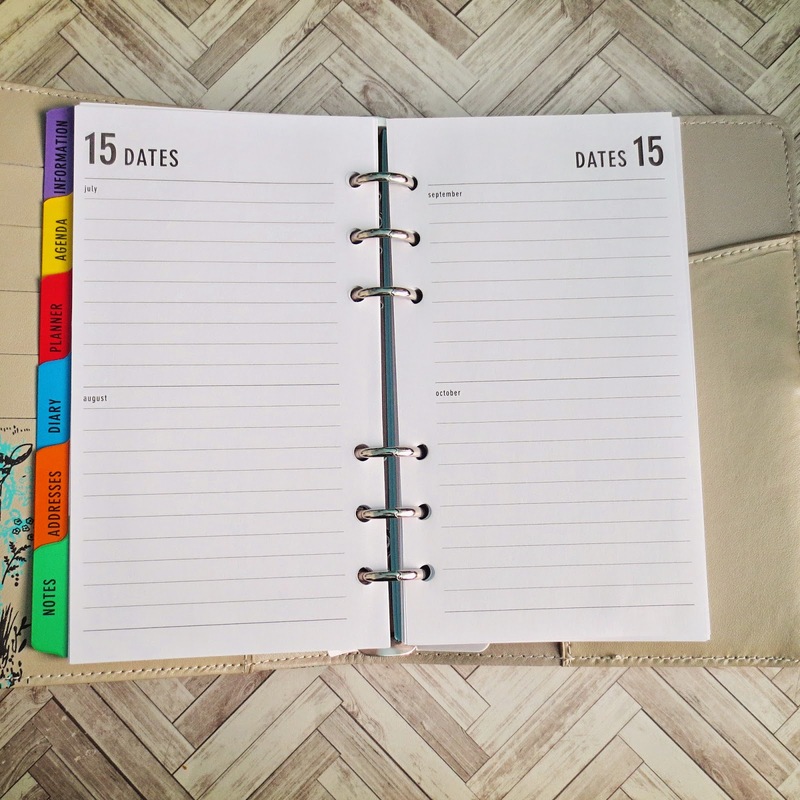 Maybe it is my OCD but I don't like the idea of having a blank page if I miss a day. I missed a day recently and went back to it but it was really hard trying to remember what I did on that day. I know I could probably just use the page for random drawing as such but I have other journals for that. Also on the daily pages there is a strip at the top of the page for all the date information and then a strip at the bottom for (not sure what), some is in Japense and I think it is a monthly calendar block. To me this is wasted paper, I want to have the option of using that space for journalling. 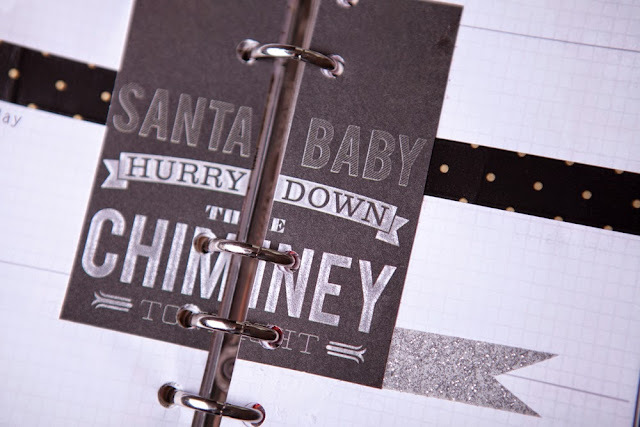 There may be times when I can't fill a page but it is nice to know that I can if I want to! So there we go, those are my reasons for staying faux. I would however most likely buy a cover. One day. If I have the pennies. I am not in a rush to buy the actual book. Of course I may change my tune if I ever do get to have the real thing because all of this opinion and the like is based on me having seen other peoples versus my faux. 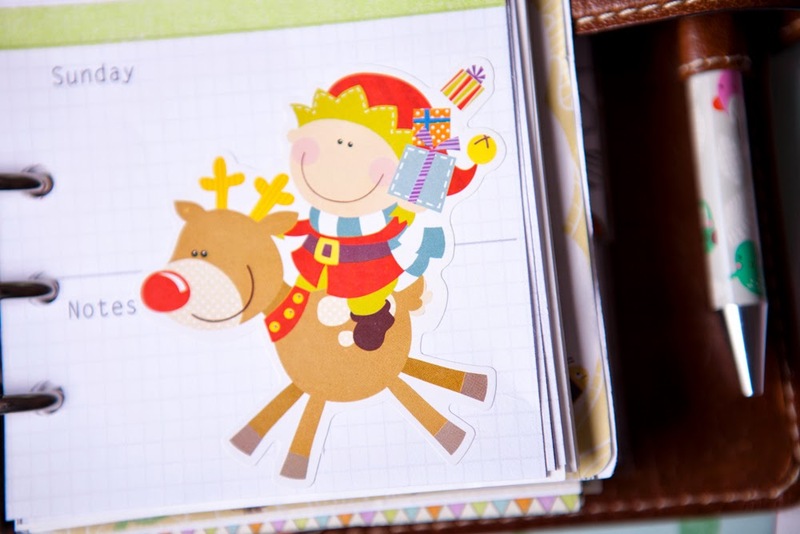 I wonder if Rudolph will be joining the gang this year? 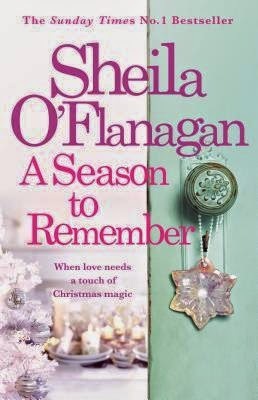 An enchanting collection of warm, poignant and Christmas-themed stories from Sunday Times bestselling author Sheila O'Flanagan. I like to read a Christmassy, heart warming story in the run up to Christmas, it just helps me to get in the mood. I like to just get all cosy and settle down with the twinkly lights on and read a festive book, I don't normally mind which one. A Season to Remember appealed to me as it is a collection of stories with a running theme. The theme is that it is set at Christmas (obviously) and that the people involved in the stories are all staying in the Sugar Loaf Lodge. I have to say that I both enjoyed this book and also didn't enjoy it. I know that sounds a bit on the odd side but let me explain. I loved that the way it is written is all snuggly and cosy and makes you want to block out the rest of the world and just get nestled into the book. For me that certainly filled the brief and the objective. That is exactly what I wanted to do and exactly what I got! It was a nice and pleasant read. You didn't have to think too hard about it at all which was just perfect, you could concentrate on just enjoying the story. Thing is I found some of the stories a little disappointing. Some of them were just a bit too short and I was left wanting a bit more. I also got a little fed up in some ways of waiting for the book to 'get going'. I was constantly waiting for the climax. Maybe I shouldn't have thought like that, maybe I should have just taken it as it was and just gone with the flow. I think I have read one too many 'dramatic books' with lots of action that I was just waiting for the crunch point whereas I should have just enjoyed it for the story that it was maybe? All in all though I did enjoy it for the snuggly read that it was! Health & Safety is there to protect, I know the Elves are in a mad rush to get everything sorted but they need to make sure that they are looking out for each other too. I am afraid I don't know where the washi tape was from as I have had it for ages but the stickers if you are interested are stocked in my Etsy shop. I love deer, I think they are just so beautiful. 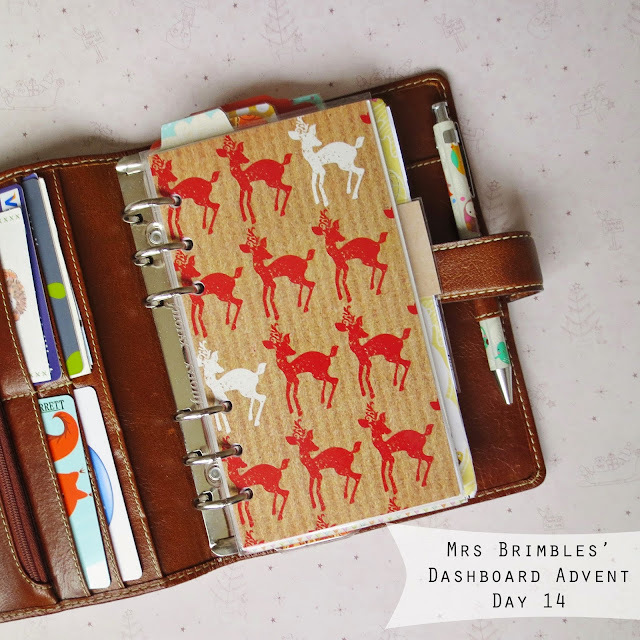 You will notice from today on, I have quite a few deer dashboards! 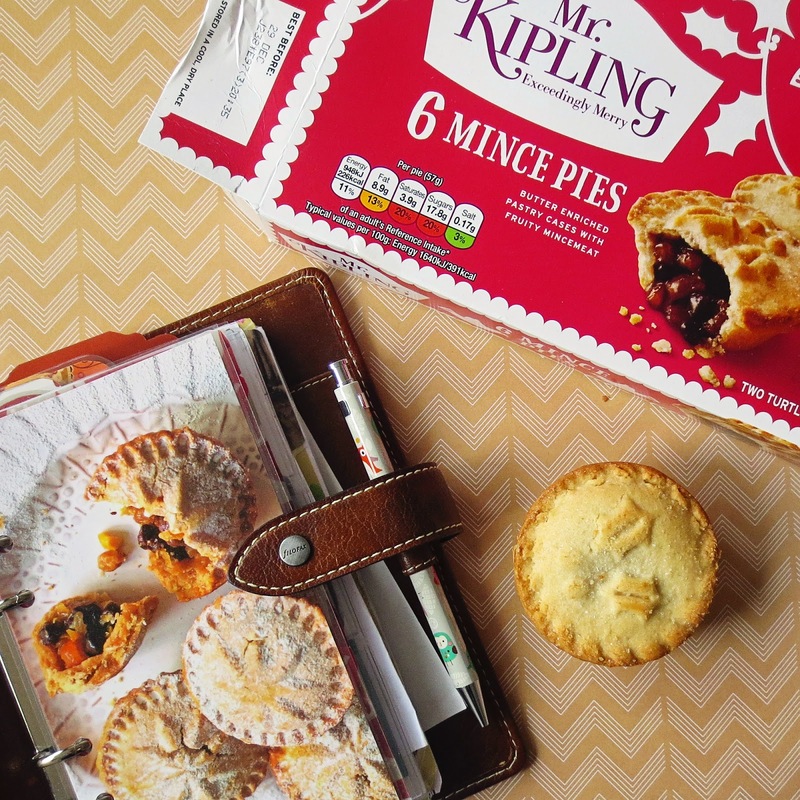 Getting obsessed with mince pies! 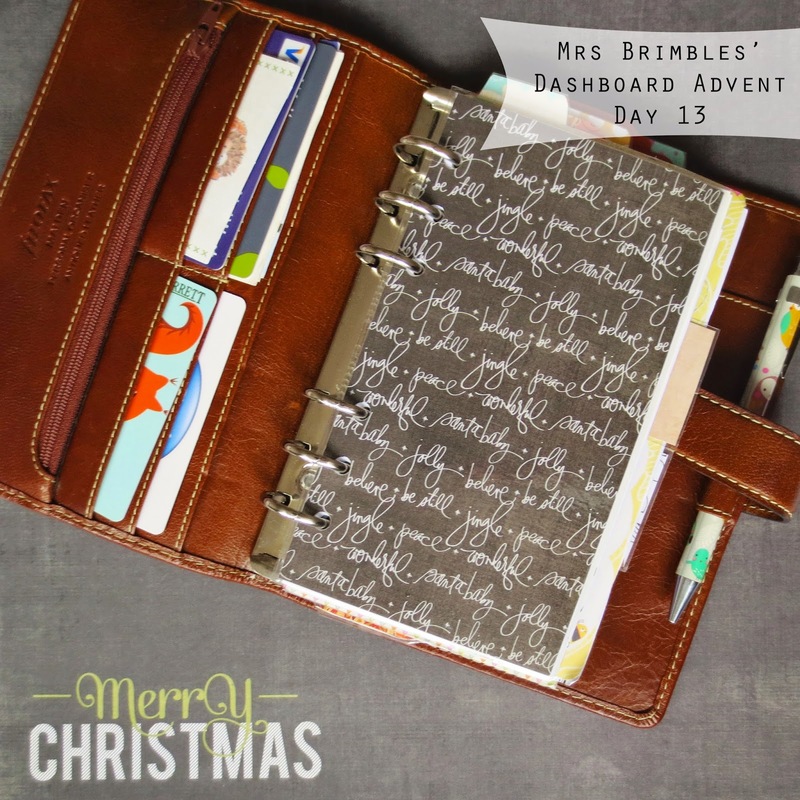 I am sneaking in an extra dashboard today, he he! 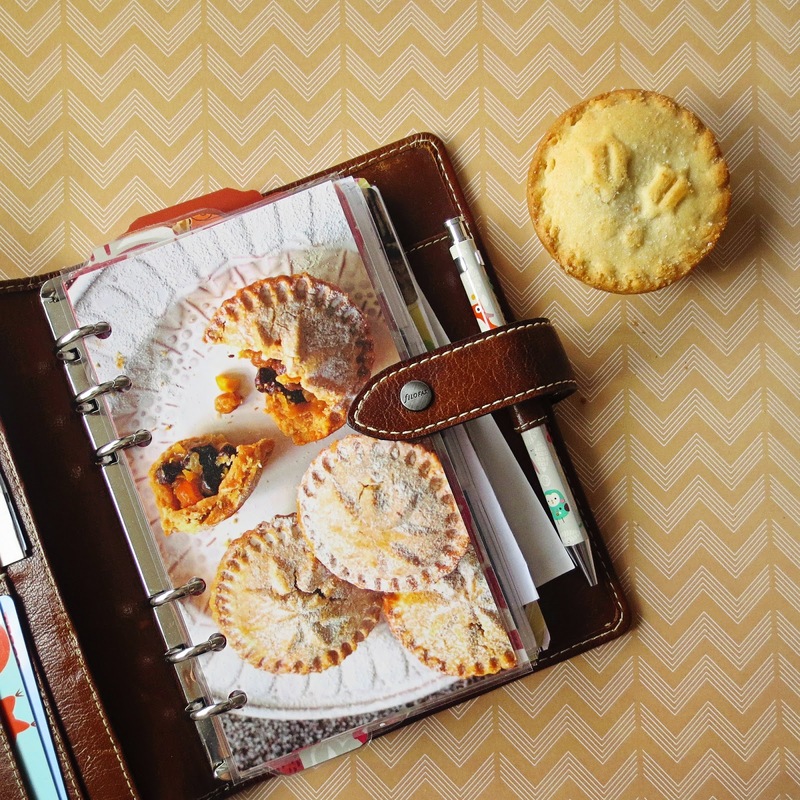 I made this one last minute because I am absolutely obsessed by mince pies! lol! The purple really is striking! How is the Christmas planning going?